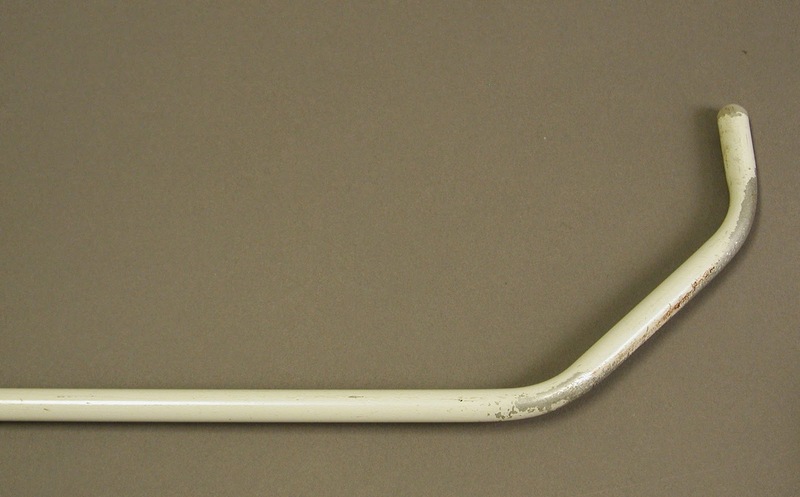 Our museum object this week is a very interesting long cane design from the AER/Warren Bledsoe Archives held at APH. Specially designed canes are a fairly recent phenomenon for the blind community. In fact, the negative stereotype of the blind beggar and his walking stick made the adoption of the first mobility canes during World War II proceed much more slowly than you might imagine. Learn more about Richard Hoover and the wounded veterans he worked with at Valley Forge Hospital. Hoover and his disciple Russell Williams introduced a sturdy aluminum cane with a large crook and a pencil style tip. It worked well on city streets and hospital floors. 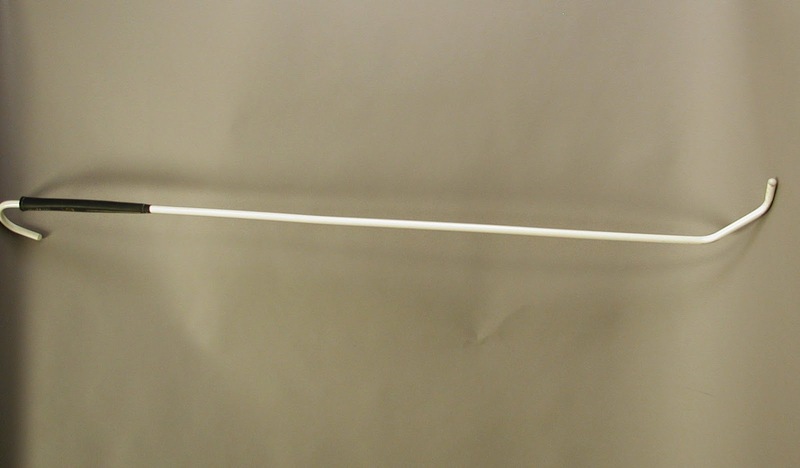 Today long canes come in a great variety of shapes, materials, and tip styles. The "bundu basher" white cane tip was invented in South Africa by O&M specialists Beverly Atkinson and Andre Neimandt for navigating the uneven ground of the bush country ("bundu" in Afrikaans). The original version simply added a rounded crook on the bottom of the cane. Its curved tip was thought less likely to catch on obstructions. Neimandt adapted the angled shape seen on this model, but the one piece construction wore out too quickly. The invention of a replacable nylon tip was the final step in the development of the tool. The cane was donated originally to AER Division 9 Archives by Moira Higgerty, head of the College of Orientation and Mobility, South African Guide Dogs Association for the Blind.